The year was 1290 when Altrincham was first established. 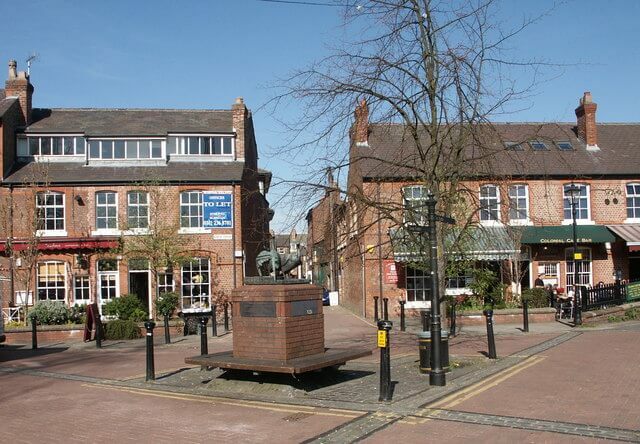 Still a market town to this day, Altrincham is quite charming, home to more than 50k people. It is part of the Greater Manchester Area, and ice hockey is huge there. You’re about to discover more about the popular commuter town of Altrincham, England by taking a close look at 6 of the top places of interest there. Altrincham Market is an absolutely wonderful way to introduce yourself to the town. Some of the items you can buy at this town market include fresh fish, antique items and local produce. The market is located on Greenwood Street, and this type of expanded market seems to be a theme for towns like Altrincham in England. You can buy a delicious pie from the Great North Pie Company there, and that is a favorite of people who have left reviews. There is fresh food served up at the market, too, so you might as well make a day of it there. Lymm Dam is a gorgeous place to visit when you are travelling around in Altrincham. Take a look at the pictures before you pay this dam a visit. It’s a lovely place to take a walk with your partner or the family, and people talk about there being an ice cream truck there. Make your way to Hollybank House Lymm Road, and you can visit the Lymm Dam. See if you don’t see a heron while you’re there. Have you seen one of those birds before? 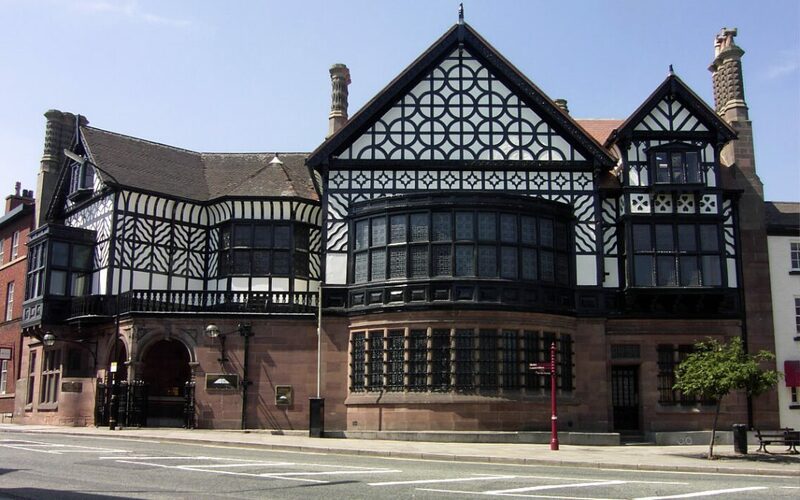 The #1 attraction in Altrincham is the Dunham Massey Hall & Gardens. This place of interest is on Charcoal Lane, and it is known for its deer park, among other things. The Georgian house on site there is gorgeous, and the gardens are amazing. There is a restaurant there, too, and you will also find a water mill. You are going to want to stop by Dunham Massey Hall & Gardens. Let’s stay out in nature with this next major attraction, Denzell Gardens. Denzell Gardens is located on Dunham Road, and it features a sunken garden. It’s a great place to bring your dog if you have him or her with you on vacation. This wooded green space has very mature trees, and it makes for a nice park and gardens to take a walk out in nature. You’re going to discover a peaceful and lovely setting, and the surroundings at Denzell Gardens are absolutely stunning. You might also want to stop by the 1903 Lounge, which is located at the Manchester Airport at Terminal 3. This would make for a great first stop if you are flying in to Altrincham, or you could stop by the 1903 Lounge on your way out, too. Breakfast, premium beverages and a warm and inviting atmosphere await you at the 1903 Lounge. Red House Farm is a great place to bring the kids. You will find a climbing wall, a bouncy castle, a maize maze and more. Red House Farm is appropriately found on Red House Lane, and there are also go-karts there to enjoy and a large trampoline. You’re going to find more than that, too, so now you know for sure you have to take the kids by there to have some fun. Altrincham has a lot of places to visit when you’re looking to have some fun. You are going to be spending a lot of time outdoors for sure. The town is gorgeous, and there are so many beautiful gardens to see. Have fun exploring Altrincham, England with your family, and don’t forget to stop by the 1903 Lounge at the airport.